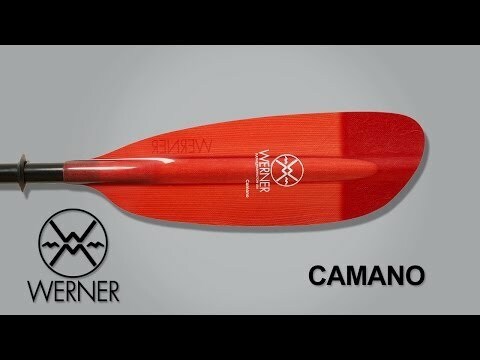 The Werner Camano Carbon Kayak Bent Shaft Paddle is one of the world's most popular kayak paddles for a low-angle paddling style. With its mid-sized blades, it offers the best balance of light swing weight and smooth forward strokes. This is the touring paddle that is best suited for the widest range of paddlers. It has an ergonomically designed shaft to keep your wrists in alignment. The easy, two-piece paddle breaks down quickly for transport and storage. The Camo Carbon paddle has a remarkably light swing weight to keep you paddling longer. Purchased for my wife, she's entered the MO340 "race" this coming July. This paddle is another fine product from Werner, super sturdy and very light weight. We are hoping to reduce fatigue during her long paddle, she knows it's a winner from several tryouts to date. Great customer service once again from ACK and had a great discount coupon to make it more affordable. Now I want one! 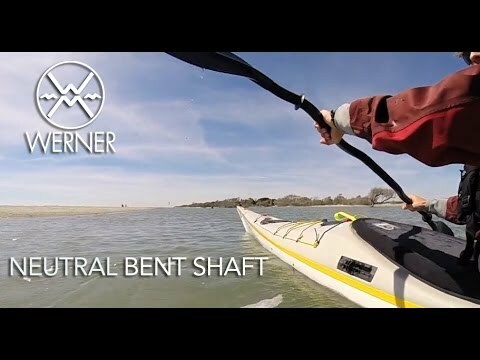 Q: Do you sell the Werner camano carbon fiber bent shaft paddle in a small shaft size? A: We do not stock these, but we can special order one for you if you would like. Please call or email us if you are interested in doing so!